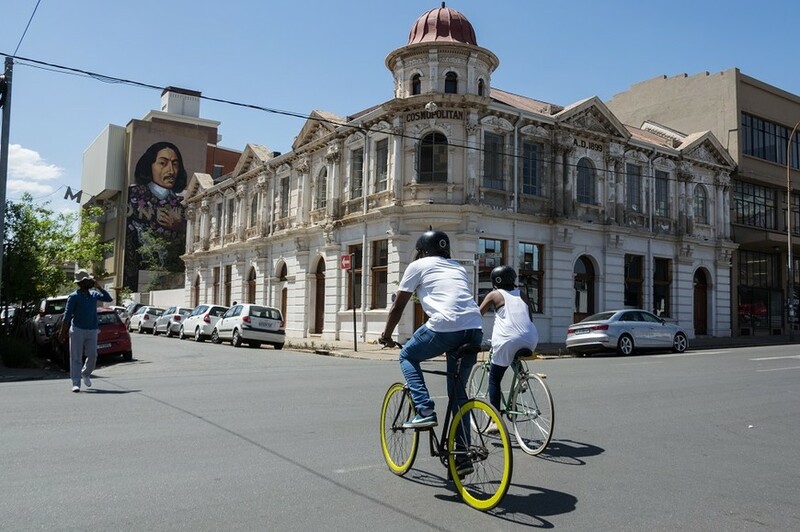 From Joburg's incredible city architecture to its hidden coffee houses and wild nature trails, it's worth joining a cycling tour or renting a bike to get the best views. When you think about navigating and exploring Joburg, cycling may not be the first mode of transportation that springs to mind. Traffic congestion (or least a local habit to constantly complain about it) reveals Joburg to be a car-obsessed metropolis. An initiative by the former city administration to encourage commuter cycling by building dedicated bike lanes collapsed shortly after it was set up, with the lanes becoming more popular with impatient taxi drivers. Yet in spite of this, a growing number of passionate Joburgers are reframing the narrative around cycling in the city, forming groups who cycle en masse and launching cycling tours of the city that showcase the accessibility and unique vantage point of life on a bike. Cycling fans visiting Joburg would be remiss not to hop on two wheels and join one of the many dynamic group rides or hire a bike and take a spin through Joburg’s parks and surrounding nature reserves. Township tourism pioneers Lebo Malepa of Lebo’s Soweto Backpackers and Jeffrey Mulaudzi of Buvhi Tours in Alexandra have established daily bicycle tours through Joburg’s most vibrant townships, weaving between sites of historical importance and offering opportunities to interact with locals in a way that helps bring visitors into the community that is authentic and mutually beneficial. Meanwhile in the heart of the inner city, cycling is one of the most fun ways to see up close some of the city’s most buzzed-about neighborhoods, whether by joining the East City Cycle Tour from Curiocity Hostel in Maboneng or sipping your way through Joburg’s best independent coffee shops on a downtown cycling tour with Kennedy Tembo’s Microadventure Tours. Joburg and its surrounds also offers plenty of open spaces for road and mountain biking, from the well-maintained tar roads that meander through the rolling grasslands of the UNESCO World Heritage Site the Cradle of Humankind to the tree-lined Braamfontein Spruit that passes through Joburg’s older suburbs and sprawling park areas. 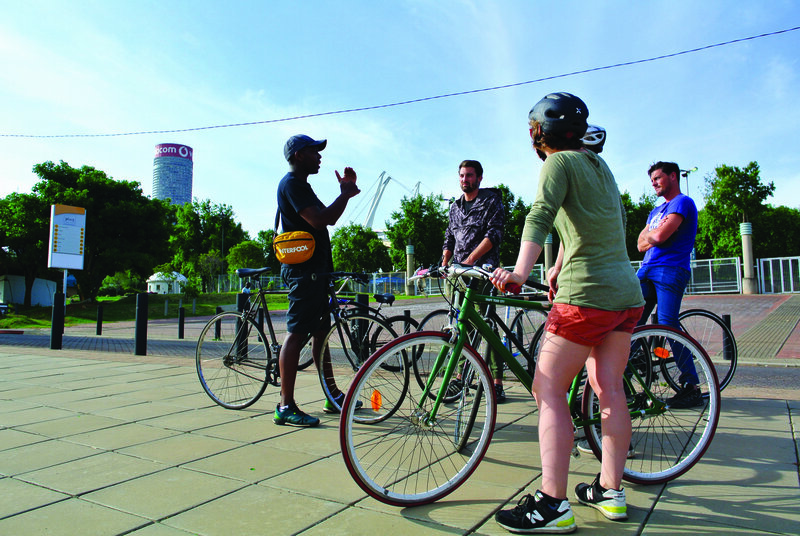 Exploring Joburg on two wheels is immersive, social and a unique way to experience the city – just make sure to wear comfy shoes, slather on sunscreen, keep your cellphone and other valuables out of sight and bring along water. As one of Joburg’s coolest and most innovative backpacker hostels that prides itself on finding ways to take guests out of their rooms and into the energetic, colourful streets of the city, of course it comes as no surprise that Curiocity Hostel runs an immersive and fun social bike ride through the Maboneng precinct and surrounding areas. On Saturdays and Sundays from 15:00-17:00 the East City Cycle Tour leaves from outside the backpackers on Fox Street in Maboneng, rolling past the incredible collection of graffiti and street art that the neighbourhood is famous for, and continues on towards the historic suburbs of Jeppestown, Doornfontein and Troyeville. Led by knowledgeable local guides the tours are infused with both historical and cultural insights on the City of Gold. Kennedy Tembo is the ambassador of adventure in Joburg. He founded Microadventure Tours in 2017 to connect Joburgers with energetic experiences outside of their comfort zone that are right in their backyard. Kennedy leads half-day and full-day guided rides around the historical sites of the Joburg City Centre and a 16km cycling tour of the scenic Cradle of Humankind which includes a visit to the museums at Maropeng. He also runs regular specialty rides, such as the Jozi Coffee Cycle Tour – a coffee-themed bike ride through downtown Joburg that pit-stops at five independent coffee shops and several architectural marvels. Bikes and helmets are provided. Veteran South African journalist Lucille Davie offers a variety of engaging tour experiences that are richly imbued with her intimate knowledge of the history of Joburg and its most famous residents. For an especially interactive history lesson, join Lucille on her 4-hour mountain bike tour along 25km of the Braamfontein Spruit. The route covers some of Joburg’s most interesting older suburbs, following a path from Blairgowrie in the north through the beautiful Delta Park and the pretty suburb of Linden and onwards through Albert’s Farm and Sophiatown with a rest on the return journey, stopping at Westpark Cemetery. Along the way Lucille shares her vast knowledge of the places that hold Joburg’s most colourful stories and the people who have walked its streets. Lucille’s tours are held monthly depending on demand and you will need to bring your own mountain bike with you (see our rental suggestions below). 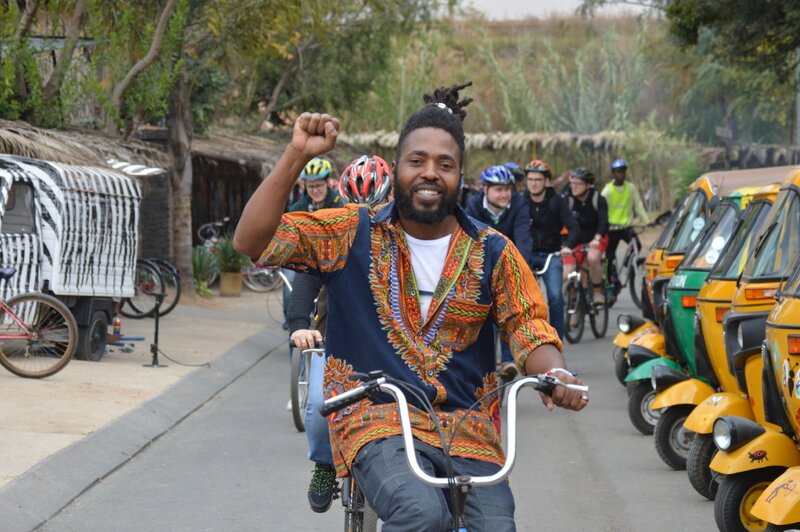 Lebo Malepa’s lively backpackers in Orlando West, Soweto offers an ever-expanding choice of excellent tours of Soweto by foot, tuk tuk or bicycle. The idea of touring the township by bike has taken off across South Africa, although it was Lebo who first pioneered the township cycling experience when he began borrowing bikes from locals to take foreign visitors out to see the sights of Soweto. Fast forward more than a decade and Lebo’s Soweto Backpackers now owns more than 100 bicycles and employs dozens of staff. There’s a choice of different rides ranging from two-hour experiences to a full day tour (bear in mind you need to be moderately fit to tackle a full day). Presenting an authentic and richly nuanced look at Sowetan life and history, the tour goes far beyond the usual generic Mandela-themed sites visiting other areas of historical significance such as the former migrant workers’ hostels and areas linked to the Apartheid policy of forced removals like Meadowlands. The tours also include stops to try local street food to keep your energy up, before ending back in the park in front of Lebo’s Backpackers for drinks and a delicious home-cooked lunch at Lebo’s Outdoor restaurant. Alexandra is Joburg’s oldest township and for many tourists one of its least known. Just five kilometres from Sandton Central, the gleaming towers of the financial district are clearly visible from the streets of 'Alex' and a Gautrain station links the newer areas of the township to South Africa’s richest square mile. Alex resident and cycling fanatic Jeffrey Mulaudzi started Buvhi Tours to encourage visitors to explore his home township from a more intimate vantage point and to learn about its unique history. Collecting guests from the Marlboro Gautrain station Jeff leads two and four-hour bike tours (maximum eight riders) every day at 09:30 and 13:30 that follow a trail through Alex’s local heritage sites. Stops include Nelson Mandela’s first Joburg home (referred to in the opening chapters of Long Walk To Freedom) as well as visits to a local shebeen where there’s the opportunity to taste authentic South African cuisine. A handful of the bike repair shops around Joburg have bikes and helmets available for daily or hourly hire and are also generally good places to get advice on easily navigable routes and safe areas to cycle through. Some even offer lessons for the novice cyclist. Bike rental is still a fairly new phenomenon in Joburg and most places do not have a huge number of bikes on offer, so it pays to call ahead to book and ensure a bike is available. HUNTER CYCLING Melville’s Hunter Cycling is a bike repair shop that specialises in custom hardware. They are also one of the rare spots in Joburg where you can rent road or mountain bikes. For beginners, Hunter Cycling also offers one-on-one instruction with one of their passionate specialists. THE BICYCLE This small bicycle servicing shop in Brixton based out of Breezeblock Café believes in the power of cycling to boost an individual’s self-confidence and offers lessons to absolute beginners. The Bicycle also hires out bikes for short and long-term use, plus helmets and locks and supplies cycle route maps. CURIOCITY HOSTEL In addition to its popular weekend East City Cycle Tour, Curiocity Hostel in Maboneng has a selection of road bikes available for rental. SPROCKET & JACK A bespoke cycle assembly and repair shop that has a limited selection of mountain bikes available for hire. The location on the Braamfontein Spruit is especially convenient for exploring the nearby MTB trails. 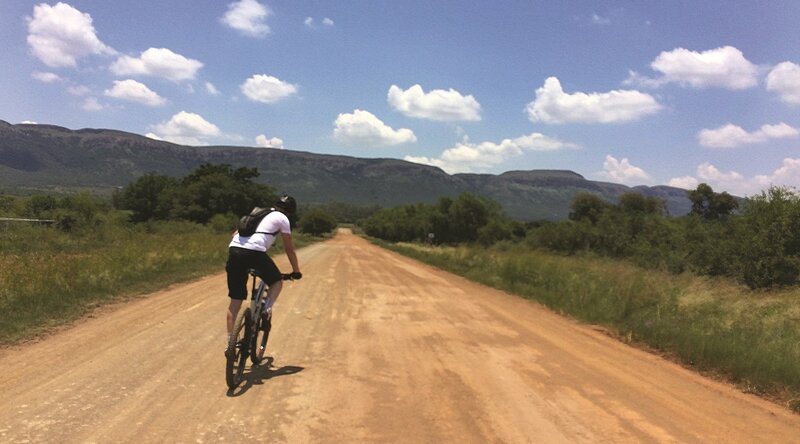 Just beyond the Joburg city limits the UNESCO World Heritage Site The Cradle of Humankind (roughly 40 minutes drive north of Sandton) has become a top destination for cycling aficionados and on any given weekend you’ll find herds of cyclists crisscrossing the area’s scenic cycling routes. With access to a mountain bike you can take yourself for a self-guided road bike tour. The 30km Cradle Route loop which follows specially designated 2m-wide bike lanes along tarred country roads is a good place to start. Note that some sections of the Cradle Route are remote, so it is recommended not to bike alone. Alternatively join Microadventure Tours guided 16km group road bike ride which takes in the Rhino and Lion Park, Sterkfontein Caves and Kromdraai mine stope and includes mountain bike rental. Joining one of the city’s many social bike riding clubs can be a great way to meet like-minded fans of life on two wheels. Inspired by other mass cycling movements around the world Critical Mass is one of Joburg’s longest running social rides. On the last Friday of every month cyclists meet up decked out in bright costumes to take over the night time streets. The 20km route through the City Centre starts outside Kitchener's in Braamfontein ( cnr Juta and De Beer Sts) at 18:00 for 19:00. Other social bike riding crews to look out for include The Whippet Cycling Co who organise a monthly social group ride that starts at Victoria Yards in east Joburg on the first Sunday of the month passing through lesser-known historic suburbs Bezuidenhout Valley and Kensington. They also organise the occasional cheeky game of ‘Bike Polo’ in Brixton (follow The Whippet Cycling Co on Instagram for the latest updates). 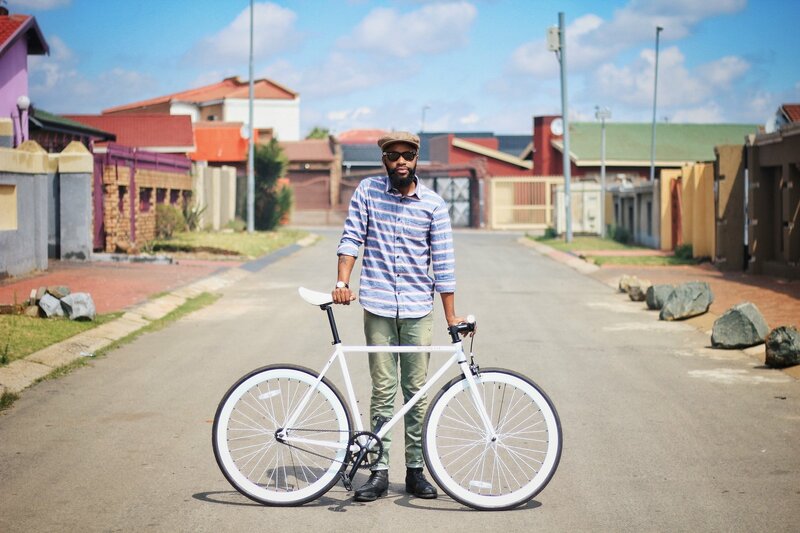 iNdwangu Rides, based in Maboneng, is another interesting cycling crew to keep your eye on. 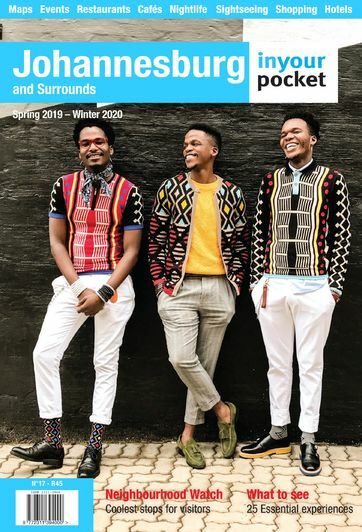 Conceived by fashion entrepreneur, stylist and blogger Bobo Vusumuzi Ndima (aka @bobthestylist), the iNdwangu Rides are a meetup of the stylish set, who don exquisitely tailored suits with tweed flat caps or wool fedoras, and take a leisurely ride through the streets of Maboneng as an expression of individuality and style. The ride usually sets off from outside the Love Revo bistro from where it is possible to rent fixie bikes. You can find out when the next ride is by following them on Instagram at @iNdwanguRides.